Danika Lorèn is known for her dramatic sensitivity and instinctive musicality. Ever versatile, Danika’s past roles include: Lady with a Hand Mirror (Postcard from Morocco), Mimì (La Bohème), Lauretta (Gianni Schicchi), Frasquita (Carmen), Pamina/2nd Lady (Die Zauberflöte), Susanna (Le Nozze di Figaro) and Rosina (Il Barbiere di Siviglia). 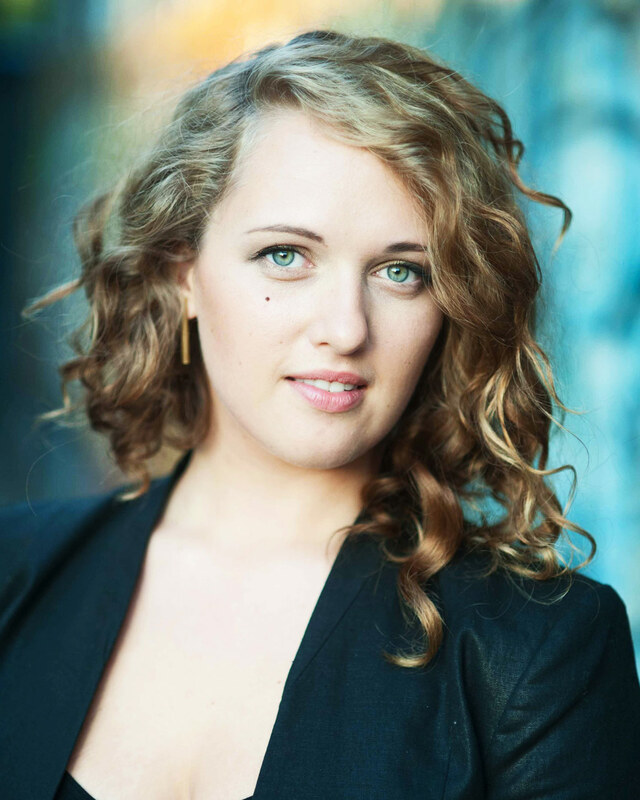 This season, Danika will perform the roles of Monica (The Medium) and Tiny (Paul Bunyan) with University of Toronto Opera, and reprise the role of Rosina (Il Barbiere di Siviglia) with the Saskatoon Opera Company in 2016. Danika’s orchestral appearances include Faure’s Requiem with baritone Nathan Berg, conductor Eric Paektau and the Saskatoon Symphony Orchestra, and Mozart’s Coronation Mass with conductor David Holler and the London Fanshawe Chorus. In 2014⁄15, she won the University of Toronto Concerto Competition and as a result, Danika will perform Richard Strauss’ Op. 27, Vier Lieder, with the University of Toronto Symphony Orchestra in October 2015. Danika’s finesse with song repertoire has afforded her opportunities to share the stage in recital with internationally recognised singers such as Stephanie Blythe, Adrianne Pieczonka and Catherine Wyn-Rogers, and, in 2010, Danika was named Vocal Champion at the FCMF National Music Festival. She is also a founding member of Collectìf, an artist collective dedicated to exploring art song as theatre. Hailing from Saskatoon, Danika pursued a BFA in acting at the University of Saskatchewan while studying voice with Marilyn Whitehead. She has since completed her bachelor’s degree in vocal performance at the University of Toronto under the instruction of J. Patrick Raftery, and is currently in the final year of a master’s degree at the University of Toronto with Wendy Nielsen.